UMobile - a milestone in banking field- provides the customers a secure and convenient means of banking and commerce from anywhere anytime. Customers can check their account balances, take a mini- statement, transfer money to Union Bank accounts, other banks, make temple donation, KVS fee payments, stop cheques, know cheque status, know branch/ATM locations and even request bank for cheque books, all this on press of button on mobile. The services are available both on SMS and GPRS. UMobile is a secured payment channel since the customer does not compromise with information like the debit card number or pin. So what are you waiting for! Explore UMobile and also refer it to your friends. 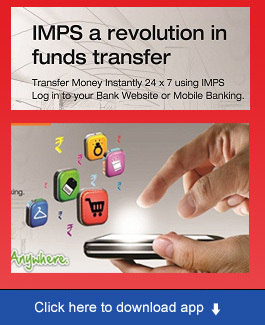 IMPS Fund transfer using Aadhaar No. Any Union Bank Debit Card holder can avail the Mobile Banking Facility at any of our ATMs or on our website or through Branch or through sign up option in the application itself. (c) any person, in which Union Bank of India has a direct or beneficial interest or control in more than 26% of the voting securities of such person. For the purpose of this definition of Affiliate and terms and conditions, "control" together with grammatical variations when used with respect to any Person, means the power to direct the management and policies of such Person, directly or indirectly, whether through the ownership of the vote carrying securities, by contract or otherwise howsoever; and "Person" means a company, corporation, a partnership, trust or any other entity or organization or other body whatsoever. "Customer" shall mean a customer of Union Bank of India or of an Affiliate or any person who has applied for any product/service of Union Bank of India. "Facility" shall mean mobile banking facility (which provides the Customers, services such as information relating to Account(s), details about transactions and such other services as may be provided on the Mobile Phone Number by Union Bank of India from time to time. "Mobile Phone Number" shall mean the number specified by the Customer on the Website, through the call centre or in writing either through any Form provided by Union Bank of India or otherwise for the purpose of availing the Facility. "Website" refers to www.unionbankofindia.com or any other website as may be notified by Union Bank of India from time to time. “Debit Card” refers to the debit cards issued by Union Bank of India to its customers. These terms and conditions together with the application made by the Customer and as accepted by Union Bank of India shall form the contract between the Customer and Union Bank of India, and shall be further subject to such terms as Union Bank of India may agree with the other service providers . These terms and conditions shall be in addition to and not in derogation of the terms and conditions governing Union Bank of India Phone Banking, Union Bank of India Internet Banking and relating to any Account of the Customer and /or any other product/services provided by Union Bank of India and its Affiliates. The Customer shall apply to Union Bank of India for use of the Facility (and/or for any changes to the options available under the Facility) by use of Union Bank of India’s ATMs or by any other method as provided by Union Bank of India from time to time including application through forms as prescribed by Union Bank of India from time to time for use of the Facility. Application for the Facility made by use of Union Bank of India’s ATMs shall be accepted only after authentication of the Customer through any mode of verification as may be stipulated by Union Bank of India from time to time as may be decided at the discretion of Union Bank of India. The Customer desirous of using the Facility should be either a sole Account holder or authorised to act independently. All or any transactions arising from the use of the Facility in the joint account shall be binding on all the joint account holders, jointly and severally. An Account in the name of the minor, in which a minor is a joint account holder or any account where the mode of operation is joint, is not eligible for the Facility. Union Bank of India shall endeavor to provide to the Customer through the Facility, such services as Union Bank of India may decide from time to time. Union Bank of India reserves the right to decide what services may be offered to a Customer on each Account and such offers may differ from Customer to Customer. Union Bank of India may also make additions / deletions to the services offered through the Facility at its sole discretion. Only those Accounts opened with the Affiliates of Union Bank of India and attached to the respective Customer's ID will be accessible through the Facility. The instructions of the Customer shall be effected only after authentication of the Customer by means of verification of the Mobile Phone Number and/or through verification of TPIN/ password allotted by Union Bank of India to the Customer or through any other mode of verification as may be stipulated at the discretion of Union Bank of India. Union Bank of India shall endeavor to carry out the instructions promptly provided that Union Bank of India, shall not be responsible for the delay in carrying out the instructions due to any reason whatsoever including failure of operational system, failure at mobile operator end or due to any requirement of law. The Customer irrevocably and unconditionally authorises Union Bank of India to access all his Accounts for effecting banking or other transactions of the Customer through the Facility. The Customer further authorizes Union Bank of India to share the Account information with Third Party for the purpose of accepting/ executing request of the Customers. All records of Union Bank of India generated by the transactions arising out of use of the Facility, including the time of the transaction recorded shall be conclusive proof of the genuineness and accuracy of the transactions. The authority to record the transaction details is hereby expressly granted by the Customer to Union Bank of India. All instructions for availing the services under the Facility shall be provided through the Mobile Phone Number in the manner indicated by Union Bank of India. The Customer is also responsible for the accuracy and authenticity of the instructions provided to Union Bank of India and the same shall be considered to be sufficient for availing of the services under the Facility. Where Union Bank of India considers the instructions to be inconsistent or contradictory it may seek clarification from the Customer before acting on any instruction of the Customer or act upon any such instruction as it may deem fit. The Customer and Union Bank of India shall have the right to suspend the services under the Facility if Union Bank of India has reason to believe that the Customer's instructions may lead to direct or indirect loss or may require an indemnity from the Customer before continuing to operate the Facility. The Customer accepts that all information /instructions will be transmitted to and /or stored at various locations and be accessed by personnel of Union Bank of India (and its Affiliates). Union Bank of India is authorised to provide any information or details relating to the Customer or to third party to facilitate the providing of the Facility and so far as is necessary to give effect to any instructions. The Customer undertakes to provide accurate information wherever required and shall be responsible for the correctness of information provided by him to Union Bank of India at all times including for the purposes of availing of the Facility. Union Bank of India shall not be liable for consequences arising out of erroneous information supplied by the Customer. If the Customer suspects that there is an error in the information supplied by Bank to him, he shall advise Union Bank of India as soon as possible. Union Bank of India will endeavor to correct the error wherever possible on a best effort basis. While Union Bank of India and its Affiliates will take all reasonable steps to ensure the accuracy of the information supplied to the Customer, Union Bank of India and its Affiliates shall not be liable for any inadvertent error, which results in the providing of inaccurate information. The Customer shall hold Union Bank of India harmless against any loss, damages etc. that may incurred / suffered by the Customer if the information supplied to the Customer turns out be inaccurate / incorrect. If the Customer has reason to believe that his mobile phone number is / has been allotted to another person and / or there has been an unauthorised transaction in his account and / or his mobile phone is lost, he shall immediately inform Union Bank of India under acknowledgment about the same. c) as a result of failure on part of the Customer to advise Union Bank of India of a change in or termination of the Customer's Mobile Phone numbers. The Customer agrees that the access to the Facility shall be only through the Mobile Phone Number and any transaction which originates from the same, whether initiated by the Customer or not, shall be deemed to have originated from the Customer. Under no circumstance, Union Bank of India shall be held liable if the Facility is not available for reasons including but not limited to natural calamities, legal restraints, system error, faults in the telecommunication network or network failure, or any other reason beyond the control of Union Bank of India. Union Bank of India shall not be liable under any circumstances for any damages whatsoever whether such damages are direct, indirect, incidental consequential and irrespective of whether any claim is based on loss of revenue, interruption of business or any loss of any character or nature whatsoever and whether sustained by the Customer or by any other person. Illegal or improper use of the Facility shall render the Customer liable for payment of financial charges as decided by Union Bank of India or will result in suspension of the Facility to the Customer. Union Bank of India is in no way liable for any error or omission in the services provided by any cellular or any third party service provider (whether appointed by Union Bank of India in that behalf or otherwise) to the Customer, which may effect the Facility. Union Bank of India, does not warrant the confidentiality or security of the messages whether personal or otherwise transmitted through the Facility. Union Bank of India makes no warranty or representation of any kind in relation to the system and the network or their function or performance or for any loss or damage whenever and howsoever suffered or incurred by the Customer or by any person resulting from or in connection with the Facility . Without limitation to the other provisions of this terms and conditions, Union Bank of India, its employees, agent or contractors, shall not be liable for and in respect of any loss or damage whether direct, indirect or consequential, including but not limited to loss of revenue, profit, business, contracts, anticipated savings or goodwill, loss of use or value of any equipment including software, whether foreseeable or not, suffered by the Customer or any person howsoever arising from or relating to any delay, interruption, suspension, resolution or error of Union Bank of India in receiving and processing the request and in formulating and returning responses or any failure, delay, interruption, suspension, restriction, or error in transmission of any information or message to and from the telecommunication equipment of the Customer and the network of any cellular service provider and Union Bank of India's system or any breakdown, interruption, suspension or failure of the telecommunication equipment of the Customer, Union Bank of India's system or the network of any cellular service provider and/or any third party who provides such services as is necessary to provide the Facility. Notwithstanding anything in the contrary provided in this terms and conditions, Union Bank of India shall not be involved in or in any way liable to the Customer for any dispute between the Customer and a cellular services provider or any third party service provider (whether appointed by Union Bank of India in that behalf or otherwise). The Customer agrees that Union Bank of India and / or its Affiliates may hold and process his personal information concerning his Accounts on computer or otherwise in connection with the Facility as well as for analysis, credit scoring and marketing. The Customer also agrees Union Bank of India may disclose, in strict confidence, to other institutions, such information as may be reasonably necessary for reasons inclusive of but not limited to the participation in any telecommunication or electronic clearing network, in compliance with legal directive, for credit rating by recognized credit scoring agencies, and for fraud prevention. The Customer shall not interfere with or misuse in any manner whatsoever the Facility and in the event of any damage due to improper or fraudulent use by the Customer, the Customer shall be liable for damages to Union Bank of India. The Customer is solely responsible for protecting his Mobile Banking Password Identification Number (PIN)/ Internet Banking /unionbankofindia.com password or mobile phone number and any password given by Union Bank of India for the use of the Facility. Union Bank of India will not be concerned with any dispute between the Customer and any cellular service provider and/ or any third party providing such services, through which the Facility is being provided by Union Bank of India. Union Bank of India makes no representation or gives no warranty with respect to the quality of the service provided by any cellular service provider. Union Bank of India may provide any other services as a part of the Facility and Union Bank of India shall not be liable for the oversight on part of the Customer to update himself with the addition of services which have been included in the Facility and specific services for each product as may be provided on the website of Union Bank of India and as will be available with the authorized call centers of Union Bank of India. In consideration of Union Bank of India providing the Facility, the Customer agree to indemnify and keep safe, harmless and indemnified Union Bank of India from and against all actions, claims, demands, proceedings, loss, damages, costs, charges and expenses whatsoever Union Bank of India may incur, sustain, suffer or be put to at any time as a consequence ofacting on or omitting or refusing to act on any instructions given by use of the Facility. The Customer holds Union Bank of India/ its Affiliates, harmless against any loss incurred by the Customer due to failure to provide the services offered under the Facility or any delay in providing the services due to any failure or discrepancy in the network of the cellular service provider. Union Bank of India shall have the discretion to charge such fees as it may deem fit from time to time and may at its sole discretion, revise the fees for use of any or all of the Facility, by notice to the Customer. The Customer may at any time discontinue or unsubscribe to the said Facility. The Customer shall be liable for payment of such airtime or other charges which may be levied by any cellular service provider in connection with availing of the Facility and Union Bank of India is in no way concerned with the same. The charges payable by the Customer is exclusive of the amount payable to any cellular service provider and would be debited from the account of the Customer on a monthly basis. The Customer shall be required to refer to the schedule of fees put up on the Website from time to time. Union Bank of India has the absolute discretion to amend or supplement any of the terms and conditions at any time and will endeavour to give prior notice of fifteen days by email or by displaying on the Website depending upon the discretion of Union Bank of India, whichever feasible, and such amended terms and conditions will thereupon apply to and be binding on the Customer. Union Bank of India may, at its discretion, withdraw temporarily or terminate the Facility, either wholly or in part, at any time without giving prior notice to the Customer. Union Bank of India may, without prior notice, suspend the Facility at any time during which any maintenance work or repair is required to be carried out or in case of any emergency or for security reasons, which require the suspension of the Facility. Union Bank of India shall endeavour to give a reasonable notice for withdrawal or termination of the Facility. The closure of all Accounts of the Customer will automatically terminate the Facility. Union Bank of India may suspend or terminate Facility without prior notice if the Customer has breached these terms and conditions or Union Bank of India learns of the death, bankruptcy or lack of legal capacity of the Customer. Union Bank of India and the Customer may give notice under these terms and conditions electronically to the mailbox of the Customer (which will be regarded as being in writing) or in writing by delivering them by hand or by sending them by post to the last address given by the Customer and in case to Union Bank of India at its office at Union Bank Bhavan, 236, Vidhan Bhavan Marg, Nariman Point, Mumbai 400 021. In addition, Union Bank of India shall also provide notice of general nature regarding the facility and terms and conditions, which are applicable to all customers of the Facility, on its Website and/ or also by means the customised messages sent to the Customer over his mobile phone as short messaging service ("SMS"). Such notice will be deemed to have been served individually to each Customer. Union Bank of India accepts no liability whatsoever, direct or indirect for non-compliance with the Laws of any country other than that of India. The mere fact that the Facility can be accessed by a Customer in a country other than India does not imply that the laws of the said country govern these terms and conditions and / or the operations in the accounts of the Customer and / or the use of the Facility. All the terms and conditions as applicable to Union Bank of India Mobile Banking Facility shall be applicable, unless excluded specifically or by necessary implication. "Alert/Push Facility" shall mean the service provide by Union Bank of India wherein a Customer can obtain specific information pertaining to his Account on his Mobile Phone number. "Request/Pull Facility" shall mean facility through which Customers will be able to make requests about their Accounts by sending "key words" through SMS to Mobile Phone Number provided by Union Bank of India for the purpose. "Triggers" means the customised triggers that are required to be set by the Customer with Union Bank of India which shall enable Union Bank of India to send the Alerts relating to his Account. All primary savings account holders and debit card holders can avail of this service. The last updated mobile number in the records of Union Bank of India would be used to send the Alerts. Currently, Mobile Banking Facility is not offered for two Mobile numbers for the same account. Mobile Banking facility will be available to the Customer only if the Customer is within the cellular service range of the particular cellular service provider or within such area which forms part of the roaming network of such cellular service provider providing services to the Customer availing such roaming facility from respective cellular service provider. To receive Alerts, the Customer may select and set all or any of the Triggers through Union Bank Mobilebanking services or by logging into the internet banking account or by submitting an application in the prescribed format as applicable or by any other mode as notified by Union Bank of India from time to time. The Customer shall be required to acquaint himself with the detailed process for using Mobile Alerts and Union Bank of India shall not be responsible for any error made by the Customer while setting the Triggers. In setting of the Triggers by the Customer, the terms and conditions as applicable to Union Bank of India Phone Banking, Union Bank of India Internet Banking and Union Bank of India Mobile Phone Banking shall also apply. The Customer acknowledges that Alert Facility will be implemented in a phased manner and Union Bank of India may at a later stage, at its discretion, send Alerts over email, expand the available Triggers or Alerts to meet Customer requirements, or may discontinue all or any of the facility/features. Union Bank of India may, from time to time, change the features of any Trigger or Alert. The Customer shall be required to keep himself informed of the available Triggers or Alerts, which will be made available on the Website. The Customer may, from time to time, modify the Triggers selected by him, without the necessity of a fresh registration. Keywords for various information requests shall be as may be provided for, from time to time, including on the application forms, or available at Union Bank telebanking centers and/or on the Website. Union Bank of India will not acknowledge receipt of any instructions or Triggers nor shall Union Bank of India be responsible to verify any Instructions or Triggers or the Customer's TPIN or password or Mobile Phone Number. Union Bank of India will endeavour to give effect to Instructions and Triggers on a best effort basis and as soon as practically possible for Union Bank of India. Union Bank of India may, in its discretion, not give effect to any Triggers if Union Bank of India has reason to believe (which decision of Union Bank of India shall be binding on the Customer) that the Triggers are not genuine or otherwise improper or unclear or raise a doubt or in case any Triggers cannot be put into effect for any reasons whatsoever. The Customer is responsible for intimating to Union Bank of India any change in his Mobile Phone Number or email address or Account details and Union Bank of India will not be liable for sending Alerts or other information over the Customer's mobile phone number/email address /fax number recorded with Union Bank of India. The Customer acknowledges that to receive Alerts, his mobile phone number must be active and accessible. The Customer acknowledges that if the Customer's mobile phone number remains inaccessible for a continuous period (such period dependent upon service providers) from the time an Alert message is sent by Union Bank of India, that particular message may not be received by the Customer. Triggers will be processed by Union Bank of India after receipt and Union Bank of India shall have the discretion to determine the time taken to process such request. The Customer acknowledges that there shall be an intervening period between receipt of Triggers by Union Bank of India, process of the Triggers and the time that the Alerts are sent. The Customer acknowledges that the Facilities provided is dependent on the infrastructure, connectivity and services provided by service providers engaged by Union Bank of India. The Customer accepts that timelines, accuracy and readability of Alerts sent by Union Bank of India will depend on factors affecting other service providers engaged by Union Bank of India. Union Bank of India shall not be liable for non-delivery or delayed delivery of Alerts, error, loss or distortion in transmission of Alerts to the Customer. Union Bank of India shall endeavour to provide the Facility on a best effort basis and the Customer shall not hold Union Bank of India liable for non-availability of the Facility or non-performance by service providers, if any, engaged by Union Bank of India or any loss or damage caused to the Customer as a result of use of the Facility (including relying on the Alerts for the Customer's commercial, investment or business purposes) for causes which are not attributable to Union Bank of India. Union Bank of India shall not be liable in any manner to the Customer in connection with the use of the Facility. The Customer accepts that each Alert may contain certain Account information relating to the Customer. The Customer authorises Union Bank of India to send Account related information, though not specifically requested, if Union Bank of India deems that the same is relevant. Union Bank of India shall not be held responsible for the confidentiality, secrecy and security of the Personal or Account information being sent through the Facility. Union Bank of India shall specify from time to time the upper limit that may be transferred by the Payer for the abovementioned Facility through unionbankofindia.com. If the abovementioned Facility is made available to the payer, it may be used for transfer of funds from Account to other accounts belonging to third parties maintained at Union Bank of India and/or at any other Bank which falls under the network of Reserve Bank of India's Electronic Fund Transfer or National Electronic Fund Transfer system or Real Time Gross Settlement. The liability of Union Bank of India shall only commence subsequent to the debit in the Payer’s account. Union Bank of India reserves the right to charge for the Alert Facility and revise such charges and such updates in charges shall be intimated to the Customer through Alerts/ display on the Website depending upon the discretion of Union Bank of India. "Union Bank of India may, at its sole discretion, utilize the services of external service provider/s or agent/s and on such terms as required or necessary, in relation to its products/services." 1. Am I eligible to use UMobile service of Union Bank? All customers of bank having SB/CD/OD accounts and having Debit Card of bank are eligible. The accounts must have been opened in compliance with KYC norms. 2. How can I register for UMobile? 3. What are the basic requirements in order to avail the mobile banking service of the bank? Basic requirements for mobile banking service are debit card of the bank and any Smartphone or java enabled mobile handset. 4. Will I be able to use the service while roaming? Yes. You will be able to use the service on national as well as international roaming. 5. How can I download the application on my handset? To download the application on your mobile handset, you need to download the application from the respective application store or through the link provided in the SMS at the time of registration or give a missed call to 09223060000 from your smart phone. 6. How do I get an mPin? 7. How many accounts can I link to my mobile? Using Instant Activation customer will get all the account linked with the same customer id..
8. How is UMobile different then the SMS Banking service of bank? SMS Banking service of Bank provides only enquiries and alerts, whereas UMobile will provide transaction facilities like fund transfers mobile recharge etc. 9. How safe and secure is the UMobile? Umobile is a highly secure application, which conforms to RBI recommended standards of security. 10. How can I do a balance enquiry using UMobile? All you need to do is select balance enquiry, enter mPin and send the message. 11. How many transactions I would get in Mini statement? You will get your last nine transactions in Mini statement option. 12. Do I need to know the account number of the beneficiary? Yes. You need to know the account number of the beneficiary and have to register for the first time. 13. How much time UMobile transactions take? Normally, UMobile transactions get completed in seconds i.e. less than a minute’s time. However, the efficiency depends on the network available and the efficiency of the mobile operator. 14. What is the maximum amount that I can transfer in a day? You can transfer maximum Rs.2,00,000/- using application and Rs. 5000/- per day using SMS tags. 15. What are the charges for using UMobile services? 16. What shall I do if I forget and want a new mPin? Please call toll free No 1800 2222 44 or e-mail at in case you have forgotten the mPin and want assistance. 17. What shall I do if I want to de-register for the services? You can visit any of Bank’s ATM and deregister if you wish to discontinue the services. 18. Can I see history of my old transactions? Yes. You can visit our service provider’s web site using the link provided on bank’s web site, select the option “Reports” after mPin validation and see your old transactions. 19. Can I get my mobile hot listed? Yes. You may call our call-centre nos given above, give details of your Mobile no/Debit card no. & account number and request for hotlisting. 20. What are the new features/services in the product? We have included various new services like mobile recharge, MTNL bill payment, KVS Fee payment, IMPS using aadhaar no., IMPS using Account no and IFSC, IMPS Merchant payment. 21. Do I need credit card for making payments through UMobile? 22. What are the different communication modes available in UMobile? As per your convenience you can select sms (long code or short code) or GPRS as communication mode. 23. Do I have to register every time for transferring fund to other accounts? No. For a specific account beneficiary registration is to be done for the first time. For subsequent fund transfer to that account beneficiary registration is not required. 24. Can I use Mobile recharge for other mobile Nos.? Yes. 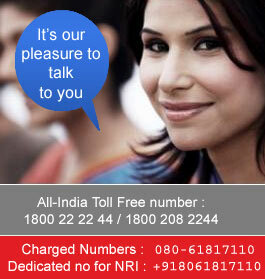 You can perform mobile recharges for any prepaid mobile number. 25. Will I get a receipt for my payments made through UMobile? Yes. You will get one confirmation message with transaction id for every transaction. 26. How can I Hotlist my card? You can hotlist your card by going to block card option in “other services” and entering your mPin. 27. Can I De-hotlist my card using UMobile? No. For de-hotlisting your card you have to contact the bank. 28. How can I locate ATMs and Bank branches using UMobile? You can locate ATMs and Bank branches by searching through area/city and pincode of the desired location. 29. How can I stop a cheque using UMobile?